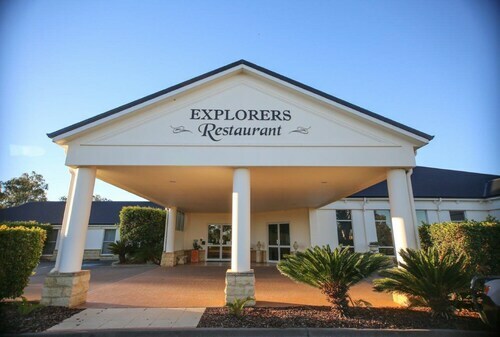 Situated in Roma, this motel is within 1 mi (2 km) of The Big Rig and Roma Cattle Saleyards. Roma Golf Course is 1.5 mi (2.5 km) away. Roma Station is 21 minutes by foot. 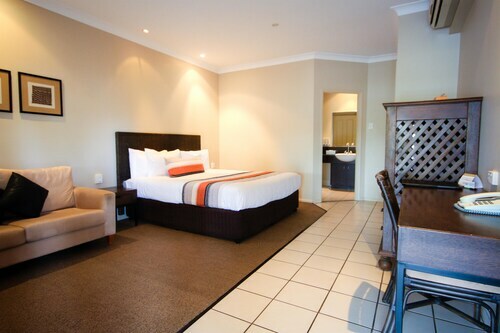 Located in the heart of Roma, this motel is within 1 mi (2 km) of The Big Rig and Roma Golf Course. Roma Cattle Saleyards and Bassett Park Showground are also within 3 mi (5 km). Roma Station is 8 minutes by foot. 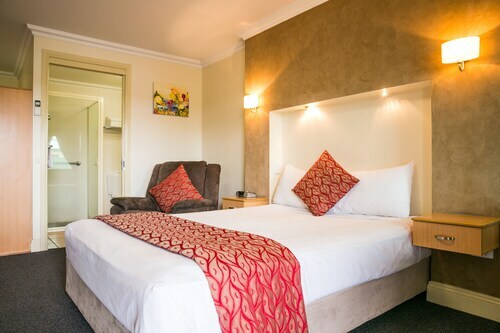 Situated in Roma, this motel is 1.2 mi (2 km) from Bassett Park Showground and within 3 mi (5 km) of The Big Rig and Roma Golf Course. Roma Station is 23 minutes by foot. 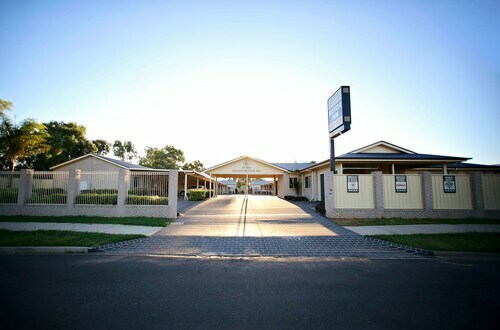 Located in the heart of Roma, this motel is within 3 mi (5 km) of Bassett Park Showground, The Big Rig, and Roma Golf Course. Roma Cattle Saleyards is 2.9 mi (4.6 km) away. Roma Station is 22 minutes by foot. Roma lies in the heart of Queensland’s south-west, in high country of the Darling Downs. Six hours west of Brisbane, Roma offers a unique country holiday away from the city lights – and as the second-largest urban centre in the region it still has everything you need! So wot’s stopping you from booking one of our Roma hotels today? Named after the wife of the first Governor of Queensland, the Countess Diamantina Roma, Roma was the first official settlement following Queensland’s separation from New South Wales in 1859. Traditionally owned by the Mandandanji Aboriginal people, Roma was appointed by the Queensland Government as an administrative centre for the district in 1862. Today it’s thrives off the oil and gas industries, the production of beef cattle, timber and wheat, and as a strong service centre to the wider region. 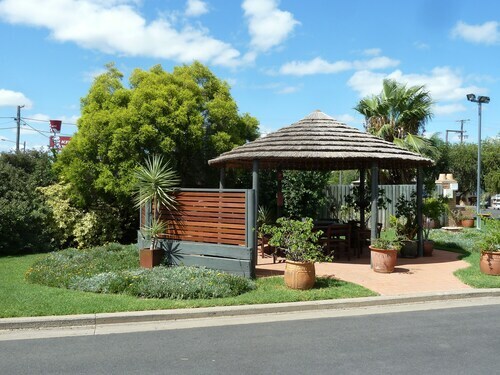 Walking down the streets of Roma, you’ll immediately sense the town’s rich history and rural Australian culture. For a guided tour, follow the plaques to significant landmarks along the Roma Historic Walk. You’ll discover many of Roma’s preserved buildings, including the St Pauls Anglican Church featuring magnificent stained glass windows shipped from England in the 1870s, the School of Arts building that was used as a lookout in World War II, and the heritage Roma Court House. Rebuilt in 1901, the original court house was the scene of the 1973 trial of Harry Redford, whose cattle-stealing antics were immortalised in the novel ‘Robbery Under Arms’. For an entertaining rendition of the story, head to the Harry Redford Show, complete with a camp oven dinner. While there’s much more history to explore, including the heritage-listed Avenue of Heroes, the 3D Heritage Mural and Mt Abundance Homestead, that’s not all there is to do in Roma! Get to know the modern Roma by exploring the local industries. Check out The Big Rig complex, set on an old oil derrick, and for a real piece of Australia head to the Roma Saleyards. They’re the largest cattle-selling centre in the Southern Hemisphere! If that’s still not enough, take a stroll, ride or run along the Adungadoo Pathway lined with ancient river gums following Bungil Creek, explore the Roma Bush Gardens, or take the Roma Express – a miniature train following a 1.4km circuit through similar scenery. For the finer things in life, see what exhibitions are on at the Roma on Bungil Gallery & Community Arts Centre, or head to Romaville Winery, considered the oldest winery in Queensland. And if you happen to be here in November, don’t miss the XXXX Gold Roma Cup – the largest and most exciting meet west of Brisbane! Thinking about how on earth to get here? It’s easy! Perched at the intersection of the Great Inland Way and the Warrego Highway, whether you’re taking the inland route along Australia’s east coast, or coming straight from Brisbane, the signs will show the way. Coming from the North, highways also lead from Emerald and Rockhampton. If you hit St George, Charleville or Chinchilla, trust that you’re getting close! Alternatively, you can fly with Qantas from Brisbane with our flights to Roma. Keen for a rural Aussie experience that won’t leave you stranded in the desert? Choose between our range of Roma accommodation options and get packing! How Much is a Hotel Room in Roma? Hotels in Roma start at AU$122 per night. Prices and availability subject to change. Additional terms may apply. the facilities were fantastic, it was great to have a usable laundry on site. Great property for short stays. Quiet location and helpful staff.